Work’s tough. Sometimes the week gets you down. How do you make sure you’re back up by Monday? You could transform your home into your own refreshing, re-energising weekend retreat. Though a spa weekend or a mini vacation would probably be preferable, there are seven things you can do to make your home even more relaxing than it normally is. The trick? Laying the groundwork for the week before the weekend even starts, and then dedicating actual time to focus on YOU once the weekend’s here! 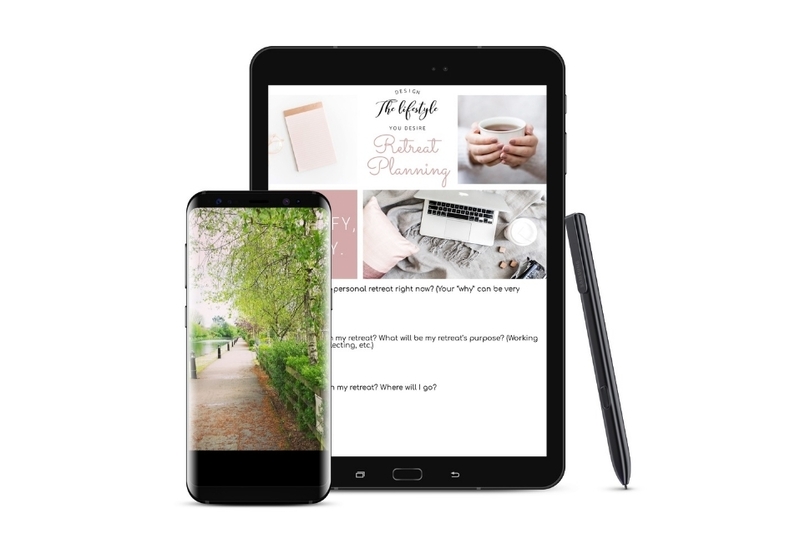 RELATED: Enrol onto my #FREE eCourse; It’s All About YOU! A good thing to remember across all areas of your life: If your heart’s not really into an invitation to go somewhere or do something, just say no. 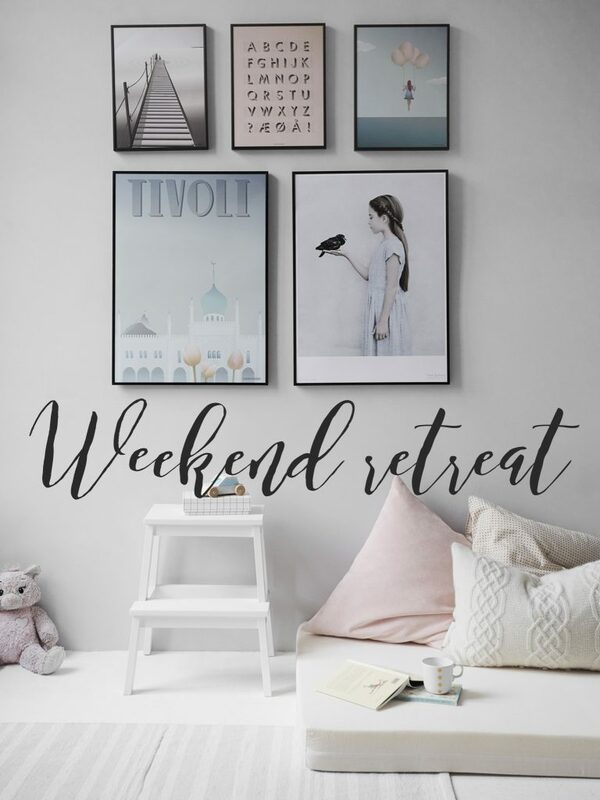 This frees up more time to fill the weekend up doing only the things you want to do and love and sets the perfect stage for a weekend of retreating and relaxing. Preferably you can start this step on Friday night, but Saturday morning will do just fine. Hide your briefcase! Stuff your work folders in a drawer. Hey, it’s 2017, no one’s going to tell you to lock up your laptop (this is a post on an online website, after all), but sign out of your work email. Try to give your brain a break. Thursday or Friday night, do a quick clean that will make your home seem clean (even if you’re a little behind and it’s not as clean as it could be). Bringing rooms back to neutral, wiping countertops, not waking up to a sink full of dishes – all of these will make your home feel more relaxing to start with. What would be a treat to you? Sleeping in a bit? Baking a pie (and eating a slice or two)? Taking a long, luxurious bath? Curling up with a good book? It sounds so simple. But how often do you sit down for a few hours of uninterrupted time to spend doing the thing you love? If the answer is “not enough,” then treat yourself. And try and treat yourself in your favourite spot at home, so you get double the enjoyment. A trick to feeling relaxed and rested after a weekend is to feel transported, and you can do that by distracting and treating all your senses. So consider all of them as you plan a weekend of activities (or lack of activities). Wrap yourself in a favourite blanket you love the feel of. Light a candle you can’t get enough of the smell of. Taste a favourite tea. Place a bouquet of fresh flowers right in your eye line as soon as you wake up. Listen to a favourite album. We keep droning on and on about being more mindful and taking a few minutes to set intentions every day. But when your week was too busy to do that, it’s doubly important to attempt it on your days off. Find that space in your home you can grab a few moments of quiet. Nature – a little sunshine, hearing some birds chirp, even just listening to the rain – recharges. Try and spend a little time in your outdoor area (perhaps reading that book), even just tending to some plants, to be sure you’re relaxed by the time Monday rolls around. How do you transform your home into a retreat when the weekend is here so you’re more relaxed and rested for the week ahead? 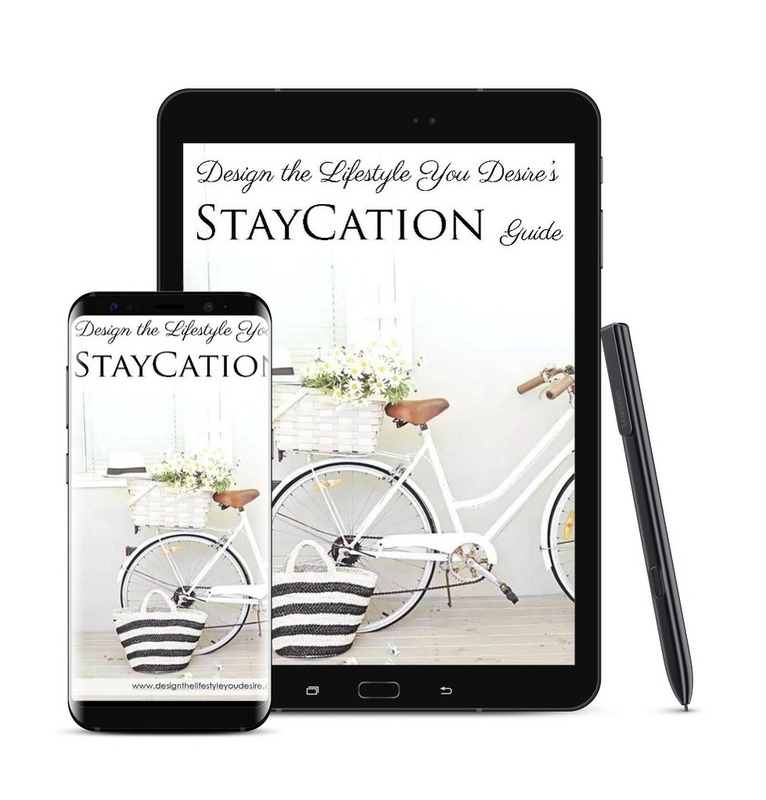 Download my StayCation Guide below! Awww that’s great. Saying ‘no’ isn’t always easy and it takes some practice, but it’s so worth it.